I was honored today to present a wine tasting to the Vice President of The Socialist Republic of Vietnam Madame Nguyen Thi Doan and her delegation who are currently visiting South Africa. 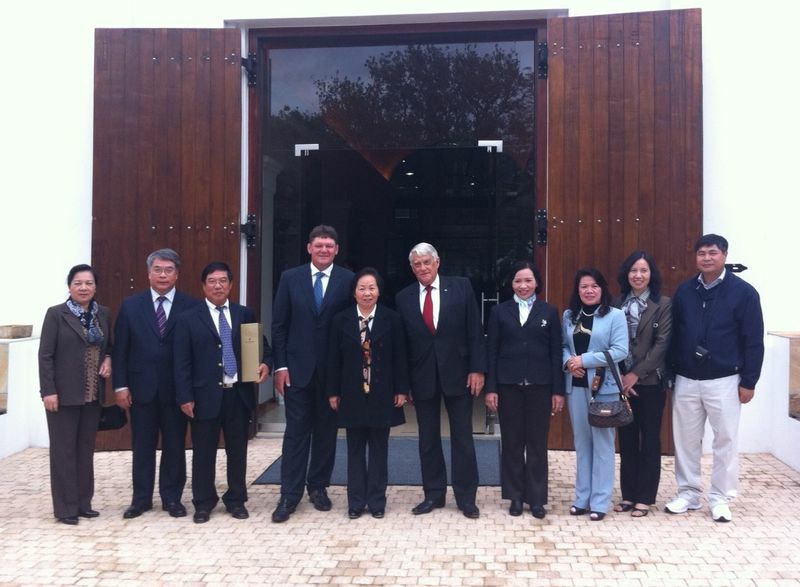 Madame Nguyen Thi Doan is in the centre in the photograph above, which was taken at the entrance of the La Motte tasting room. The Vietnamese Ambassador to South Africa Mr Nguyen Manh Hung is to my right.